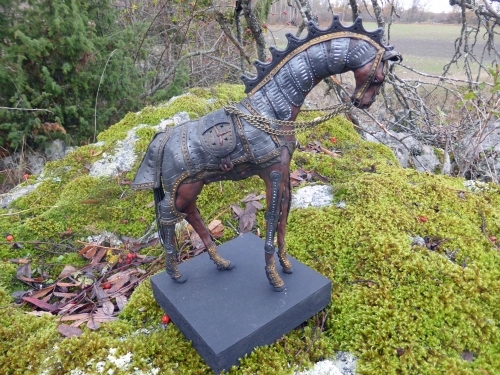 Mambo No 4 is a very special Mosebacke Horse Sculpture that is inspired by Steampunk and Medieval Knight horses, like he comes from the Middle Ages. 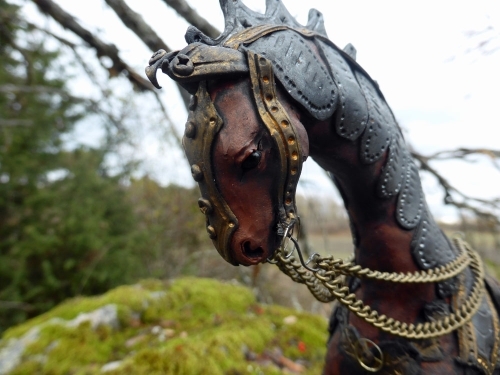 The ancient appearance is made by mica powder on black polymer clay. 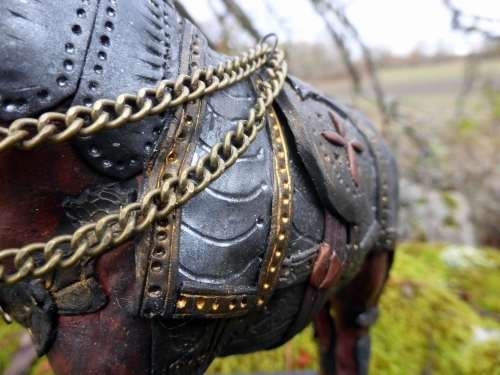 All details are in clay except for the reins that are made of a metal chain. Lllllllava är en helt unik och signerad Mosebacke Hästskulptur. Den är 21 cm hög och skapad i polymerlera över en bas i betong. Hästen har ett uttrycktfullt ansikte och leran skiftar i spännande mönster och färger över hela hästens kropp, ungefär som de lavaströmmar som gett sitt namn till hästen. 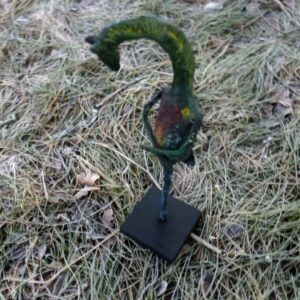 En häst som är en skog är en helt unik skulptur i teknikerna skulpturlim och polymerlera. Den är stor – höjden är 104 cm. Hästen bör monteras/fästas mot en vägg, antingen stående direkt på golvet eller (rekommenderas) på en liten hylla högre upp på väggen. Klicka här för att läsa mer om just den här hästskulpturen i bloggen. 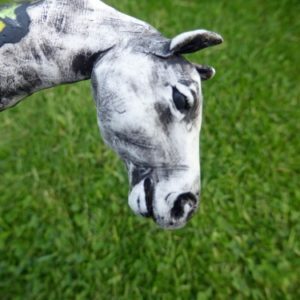 Never Alone is a very special horse sculpture that is flat, made up by strings of different colors of polymer clay. 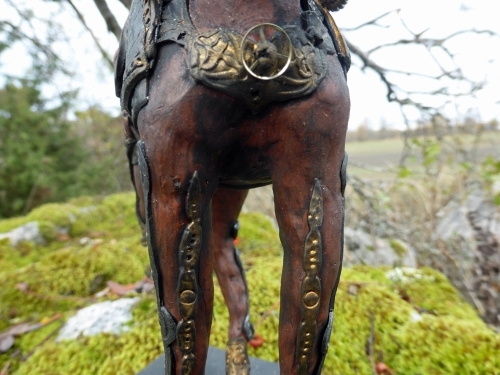 About Round is a Mosebacke Horse Sculpture created in polymer clay, with four horse shoes in real silver. 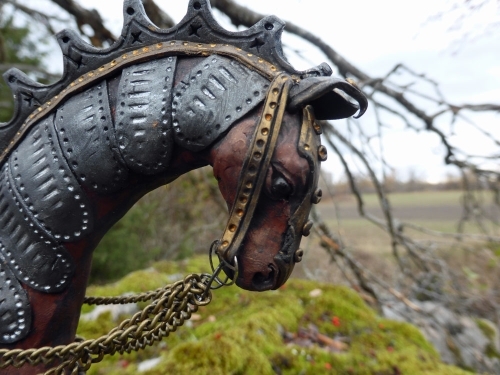 The horse shoes are also hand made by EvaMarie. About Round is an exploration of the form “round”, investigating if it could be possible to place four legs and one head on a round form, and it still would be a horse. 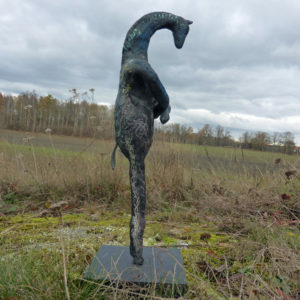 The answer is that is made a wonderful and lively horse, full of joy and with lots of colors. On the neck you can admire a kind of polymer clay cane called “Stroppel Cane”. Read more about and follow the creation of About Round in my blog. 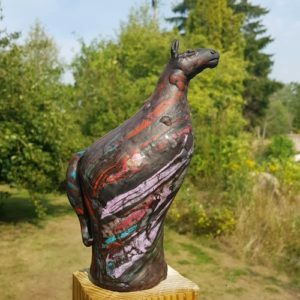 Reflection No 3 is a unique Mosebacke Horse Sculpture, created in polymer clay. 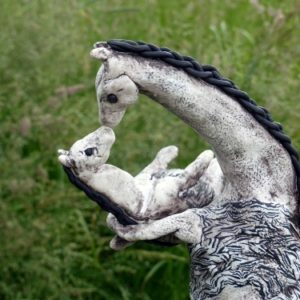 Mare with foal is a Mosebacke Horse, created in polymer clay. 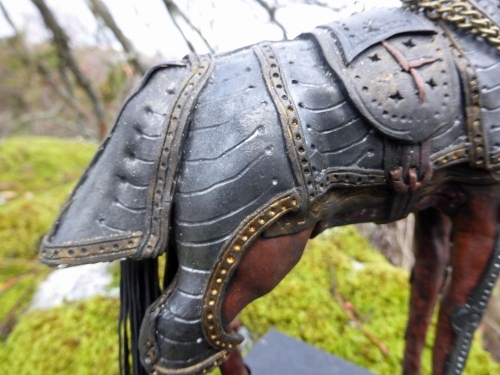 The pattnerns on the bodies are made from canes of polymer clay. 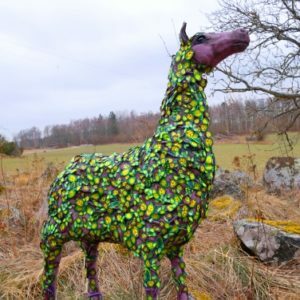 Read more about how Mare with foal was created in the blog. Use the button “Next post” to read more. 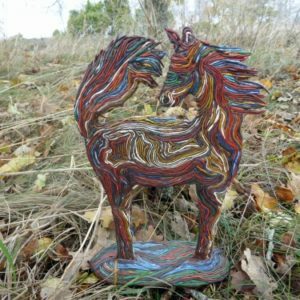 Reflecton No 4 is a Mosebacke Horse Sculpture, created in polymer clay. 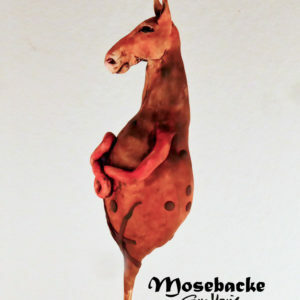 Nature is a unique Mosebacke Horse Sculpture in polymer clay. The base is made of black painted wood.